2) Login www.kobobooks.com, goto “my Library” on top webpage, all you purchase ebooks list in webpage, click “Adobe DRM ePub” button to download kobo ebook, it will show up in digital editions if you download ebook in digital editions. 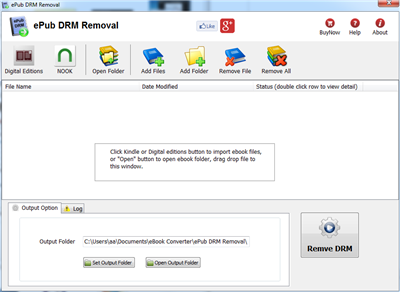 2) To remove epub drm, download and install epub DRM Removal that will remove drm protection from epub books, it support windows and mac. -Shop over 2.5 million books, newspapers and magazines. -Download over 1 million free titles. -Borrow books from your local library – for free! -Industry-first, consumer-loved social reading experience. -Own your books for life! 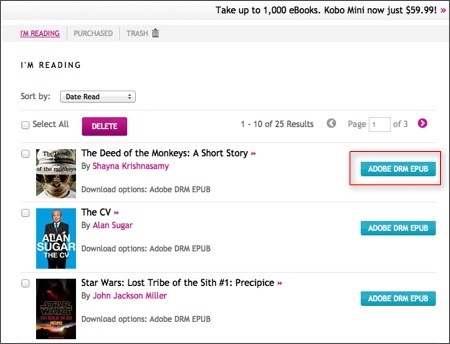 Read your Kobo books on any open standard device and bring your books to a growing number of Kobo eReading Apps. 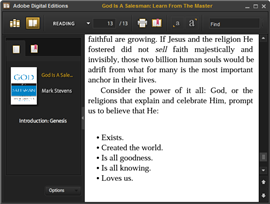 -Free Kobo eReading apps for smartphones, tablets and computers – Kobo automatically saves your place and syncs your bookmarks across devices.